Capital Dynamics Asset Management Sdn. Bhd. or CDAM is licensed as a fund manager under the Capital Markets and Services Act of Malaysia. CDAM obtained its licence in 1997 and has been delivering consistently superior returns to its clients. When investing in the stock market, it is not only what the market will do next but it is also what the investor will do next that will determine his or her success. 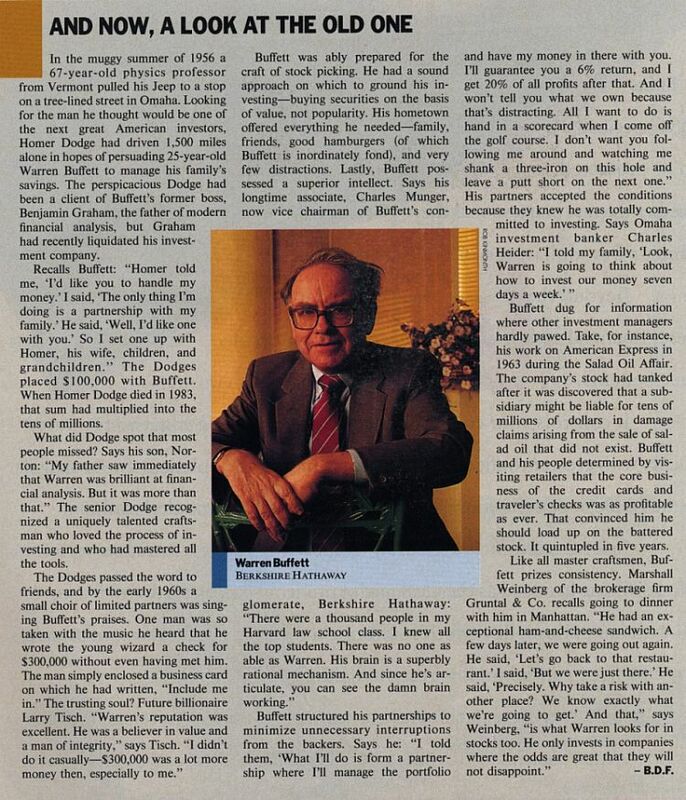 For example, this Fortune article showed how some investors chose Warren Buffett as their fund manager even when he was only 25 years old. The key question is would you have selected him at that time? It takes a smart client to pick a wise fund manager. The same rationale applies in selecting CDAM as your fund manager. While our impressive track record provides comforting reassurances, over-emphasizing past performance often leads to a poor selection of fund managers. It is of utmost importance to carefully evaluate the underlying investment philosophy of the fund manager instead of merely looking at past performance. At CDAM, we promise clients a sound, rational investment approach with the discipline and the motivation to apply them consistently. The key to consistent success is to have a sound and rigorous intellectual framework for making investment philosophy, which for CDAM can be aptly summed up as “Intelligently Eclectic.” What is this? Look beyond a posh office or pretty brochures or a big name. There must be a total commitment from the fund manager. On this, there can be no compromise. Appointing a fund manager is like entering a joint venture. It must be with a very committed partner. The fund manager must put his money where his mouth is. He/she must sink or swim with the client and must do well because his clients have done well. It must be like partnership instead of a mere client-manager relationship. How can our clients be sure that CDAM delivers this total commitment? Frequent changes of corporate ownership have led to inconsistent investment styles and a sense of insecurity among the staff. Such a lethal combination often results in unnecessary high turnover of clients’ portfolios, further aggravating the poor investment performance. At Capital Dynamics Asset Management, there are no unnecessary changes in portfolios. Clients get continuity and consistency in investment philosophy, which is a key factor in achieving consistent investment success. The lack of a sound, rational framework is one of the most important reasons why most fund managers perform poorly for their clients. Our sound investing framework is built after years of experience and research and based on 7 key components. Copyright © 2019 Capital Dynamics Asset Management Sdn Bhd. All rights reserved.